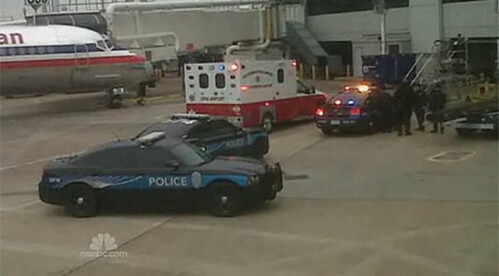 A US domestic flight has made an emergency landing after the captain was restrained because of "erratic behaviour", officials say. Passengers said the captain left the cockpit and began to rant about a bomb and threats from Iran and Al-Qaeda. 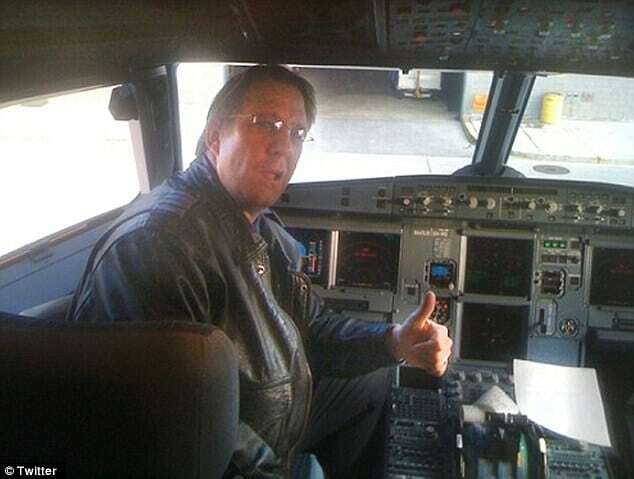 He was reportedly subdued when he tried to re-enter the cockpit, which had been locked by the co-pilot, officials said. JetBlue flight 191 from New York to Las Vegas was diverted to Amarillo, Texas, after the incident. The airline said the pilot in charge of the plane, which was carrying 135 passengers, decided to land at about 10:00 local time (16:00 GMT) after a "medical situation" involving the captain. 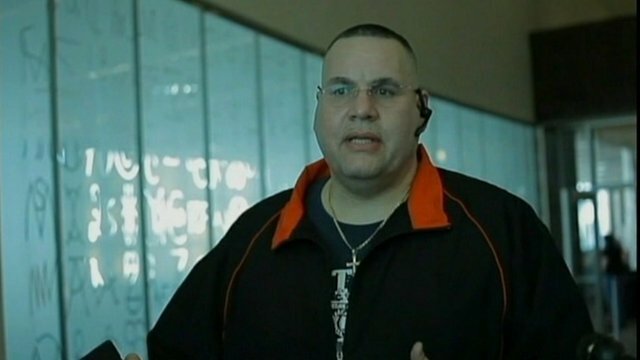 "I knew there were about 130 people on the plane... families, kids... and I thought, this is not going to happen on my plane," Mr Gonzalez said. Clayton Osbon dreamed of becoming an astronaut when he was younger. Clayton and his wife have purchased a Wii System. “It’s so accurate,” he says of Wii Bowling. I tease him for “nerding” up bowling with physics lingo. After all, I’m an alumna of the Pee-wee League at Blue Hen Lanes in Delaware. “What’s your high score?” I ask. This terror event was sponsored by Nintendo, I guess. JetBlue Flight 191 passenger Gabriel Schonzeit recounts the details of the captain of yelling about bombs and passenger taking him down March 27, 2012 as the flight was diverted to Amarillo Texas. The captain was subdued thanks to the help of passengers on the flight 'packed with burly men' heading to the 2012 International Security Conference in Las Vegas. so i say - "you know what ? I'ma, I'm gonna show you what Iraq & Iran is", an' i took him on a chokehold. It’s not like the pilot was running down the aisles screaming about al Qaeda and terrorism. Oh wait, he was. I'm sure I heard the pilot cry out: "I'm so distraught!" Who honestly says something like that? Not even a "Get your effing hands off me!"? It was on every station this morning and here: http://www.lbc.co.uk/bomb-rant-pilot-ta ... gers-52869 - LBC 97.3FM on my way to work today, as their top news (along with this - http://www.dailymail.co.uk/news/article ... ds-newsxml about the student who tweeted abuse about footballer Fabrice Muamba and will receive 56 days in jail ! Both laughable stories. I despair! 1: Cameras will not work. 2: If they do, the quality is always something from the last century. the student who tweeted abuse about footballer Fabrice Muamba and will receive 56 days in jail ! I kicked a door in the face of a police officer. Got me 19 days. Logic abounds. Last edited by whatsgoingon on Fri May 24, 2013 9:15 am, edited 1 time in total. Those of us in the US were treated to a prelude to the big JetBlue event back on March 9th. A UK paper did a nice job of covering it though, http://www.thesun.co.uk/sol/homepage/ne ... -rant.html. It happened in my home city of Dallas, TX and HQ of American Airlines which we know was a big player in the 9/11 show. Its a great way to remind us that people are still scared of terrorists taking down airplanes and other people especially airplane staff on the front lines are psychologically affected. Things are ok though because the "authorities" are there to step in and help us . "AIRPLANE passengers were forced to subdue a flight attendant after she started screaming that their plane was set to crash. The American Airlines jet was set for take off when the woman took over the PA system and began to rant uncontrollably. She told those on board that the plane had "technical difficulties" and rambled about the 9/11 terrorist attacks. Terrified passengers looked on as colleagues of the woman tried to calm her down as she lashed out." Fortunately we got an inside look by a passenger in the 11th row , http://hotair.com/archives/2012/03/09/s ... ill-crash/. “The flight attendant started repeating her sentences over and over again, (and) wanted us to have our seats even though we were in our seats,” Stephen Termunde, who was a passenger in the 11th row, told CBS News. “She actually made two comments that if we didn’t go back to the game we would crash,” he said."